So I've decided to begin the year with a new blog. It was way past time to "clean house" - and the timing seemed just right. The ringing in of a new year seemed to awaken sleeping ideas and the purifying ways of old man winter seemed to put to rest that which needed to be put to rest. It's really reassuring to feel in sync with my surroundings like so. This cleaning house also led me to my yarn stash. 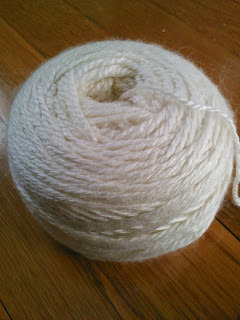 While sorting it (again), I found myself drawn to the variety of natural (ecru) colored yarns and fiber. 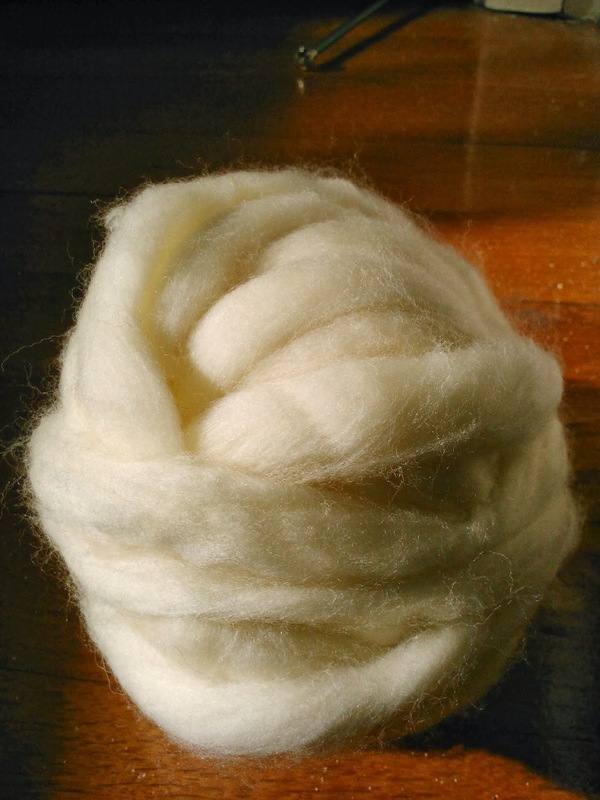 First to move from stash to current projects was this Organic Inca Cotton by Galler Yarns. I'm thinking a versatile cowl and matching mitts. Some had designated projects, like this Fyberspates Scrumptious 4-Ply which was initially intended to become a lacy shrug. I'm thinking about taking a knitting adventure. Others I just fell in love with. 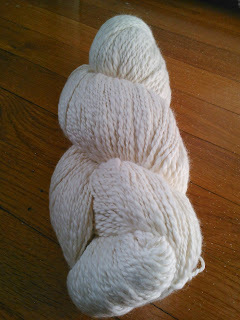 Once I touched this most wonderful Merino roving. I couldn't leave without it. I'm thinking some needle felted embellishments to start. I love this color because it's perfect to pair with a wonderful complex stitch pattern or a simple stitch that can later showcase embroidery or some other type of embellishment. Yarns and fiber this color are my perfect little blank canvases, just like a yard filled with fresh snow. I'm just like I am when it actually is snowy outside. I'm excited just the same. I keep looking at them. Like I constantly look out of the window when it's snowing. I secretly wish for plenty just as I hope for mounds of snow. I have some great ideas in mind. I can't wait to jump into my snowy fiber and spread my wings like an angel. What a heavenly feeling. I look forward to keeping you posted and sharing more journeys with you. I wish you a new year full of goodness and excitement and love for your crafty endeavors. P.S. Thank you all so much for all of your very kind words. I'm so happy I am going to start blogging again. If not, I would have missed out on the company of such an extraordinary bunch. It is your company that makes a somewhat of a hermit like myself feel extremely lucky and satisfied with sharing myself in such a public arena. You are my family away from family. Much love to you all.